We have featured quite a few different spy cameras here at Geeky Gadgets, the latest one is designed to look like a shrunken DSLR, the ChobiCam1 which weighs in at a tiny 12g. 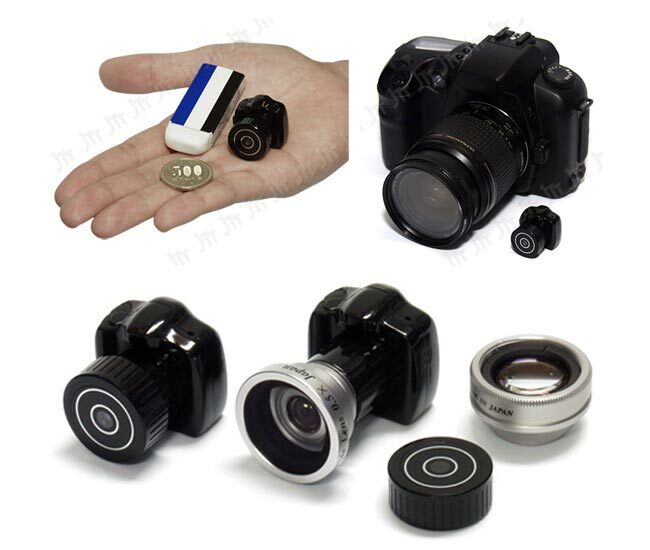 This tiny DSLR themed spy camera measure 2.5cm by 2.5cm by 2.6cm and comes with a built in mono speaker, it is capable of recording video in a 640 x 480 resolution in AVI. As well as being able to record video, it can also take still photos in a 1600 x 1200 pixel resolution, and it has a microSD/SDHC card slot that can take up to 32GB cards. It also come with a USB 2.0 connection and is compatible with Windows based computers, it is only available in Japan at the moment and retails for about $120.